This section keeps you updated on the major developments throughout the RECAP preterm Project. The next GA meeting is planned in Rome, including a Early Career Researcher’s workshop before, and two additional work package sessions. Recently published last part of the serial on professionals within the RECAP preterm project. The data protection, law and ethics specialists within RECAP preterm develop an organisational framework to share and integrate data from a large number of different cohort studies. For this reason, legal arrangements between the RECAP data platform and future users on secure data access and transfer are set up. #ResearchImpactEU #RECAPpreterm @tno_research View more about the RECAP preterm project: https://recap-preterm.eu/ Please note: This project has received funding from the European Union’s Horizon 2020 research and innovation programme under grant agreement No 733280. 13 April 2018, one-day meeting of WP6 on “Improving data collection, follow-up, and participant involvement”, Porto, Portugal. Currently all milestones and deliverables are on track. For instance, important exchanges on the harmonisation and classification of the later available cohort datasets and the functionality of the data platform took place. Additionally, the process to decide on research questions to be examined with the platform was introduced. 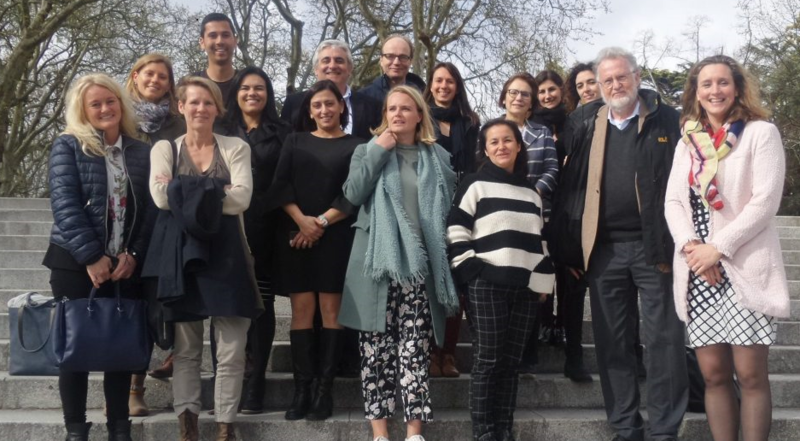 20 transdisciplinary institutions from 12 different countries have joined forces to help improve the lives of babies born preterm. The RECAP preterm project will be presented at the APIC annual meeting on the 5th of May 2017 in San Francisco. Several cohorts outside the EU have already provided support letters for the RECAP preterm project to collaborate. A recent publication initiaited by APIC includes several RECAP preterm cohorts indicating the power of combining cohorts to determine universal outcomes in adulthood after VP/VLBW birth: Pyhälä R, Wolford E, Kautiainen H, et al. Self-Reported Mental Health Problems Among Adults Born Preterm: A Meta-Analysis. Pediatrics. 2017.